Espresso, gelato, pasta, pizza, panini, prosciutto, foccacia, cappuccino, tiramisu…is your mouth watering yet? Maybe it's time you took a vacanza to Italia. Avoid the crazy summer backpacking rush and visit the heart of the Roman Empire during the winter months. And why not escape your typical tourist destinations such as Rome, Milan, Venice or Tuscany, and head to the Italian Alps for some snow sports instead? Located about an hour and a half from Torino and Genova lies a neat little town called Prato Nevoso. Nestled on the edge of the Piemonte Region and part of the Mondole Ski area, Prato Nevoso is a scenic getaway for those wishing to miss the glamour and over-the-top service that most resorts boast. With over plenty of trails, a superpipe, a world-class terrain park, a friendly local vibe and excellent Italian coffee, Prato Nevoso will not disappoint. In Prato (as it's known by the locals), what you see is what you get. There are no flashy five star hotels, expensive day spas and over-priced boutique shopping. Milan, just a few hours north, offers all that. This mountainous retreat is an Italian destination that is run by Italians, for Italians. Locals are the priority and Prato does not try and compete with your typical mainstream European ski destination. If you are after the complete over-priced ski package then I suggest heading further north where larger resorts are more than happy to take your hard-earned Euros. Local bars and family run pizzerias all add to this countryside town. With only one road running through Prato, it's a quiet and peaceful town offering an opportunity to ski some excellent terrain with an authentic Italian cultural experience to match. 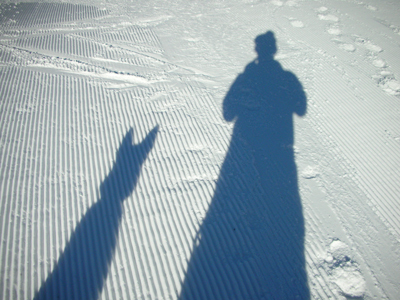 Although on a smaller scale compared to other European ski resorts the area offers over 100km of trails and about 20 lifts (most of which are t-bars). Prato is also linked to the neighbouring ski areas of Artesina and Fabrosa Soprana that make up the Mondole ski area. Targeted at intermediate to advanced riders, Prato does not offer an abundance of difficult terrain; the trail map boasts only one black run and four between the 3 resorts. Don't be put off with statistics though, there is a lot more off-piste runs and steeper goods can be found but you need to be slightly ambitious or have a friendly local by your side. If you are into steep and deep camps or "extreme" skiing or riding then Prato is probably not for you. Prato markets itself as 'the family resort' and it lives up to its name. Prato also offers first class night skiing. From the base, there are two runs including the entire park and pipe lit up every weekend and every night during the busy periods from 8pm-11pm for those eager to crank out some more turns once the sun sets. The two runs are groomed to perfection from 5pm so once the chair opens there is plenty of fun to be had. Surprisingly, despite Prato's modest size and family oriented nature, it hosts one of the best terrain parks in the whole of Italy. 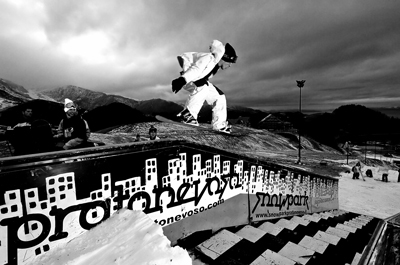 Long time local Gian 'Gherry' Garbellogio has been passionately shaping and mastering the Prato snowpark for years. 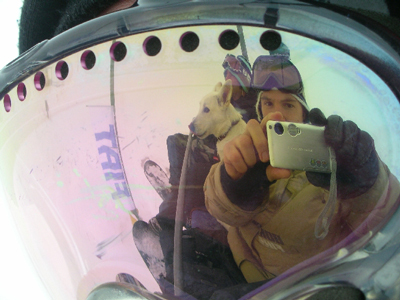 Gian first started skiing at Prato when he was three and has never turned back. A fully qualified ski and snowboard instructor as well as one of Italy's first sponsored snowboarders, Gian knows what he's doing. He is well respected within the Italian snowboard community and this is shown through the high number of high profile riders that ride the Prato park every year. The park consists of numerous rails and boxes, including a rainbow over an old car, an excellent range of kickers, a superpipe, a fully enclosed trampoline and even a free pinball machine for when the weather turns bad. 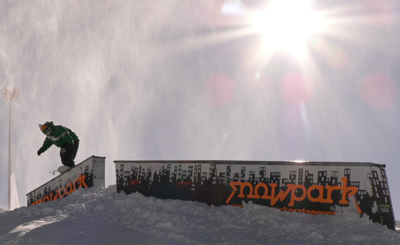 In December, the Park opens with the "Railway to Heaven", an invitational photo shoot for skiers and snowboarders. Moving away from your competition theme, The Railway is an opportunity to enjoy the park with your friends in a relaxed environment with no pressure. There is no competition format, just session times on the various features throughout the day and into the night. Fun is key here and The Railway is one of the most popular events on the Italian snow calendar and attracts snowboarders and skiers from all over Europe. The park itself is completely dugout of the ground. Everything from the superpipe, to the rollers for the beginner's side, to the platforms for the big line has all been constructed during the summer months. The advantage of this is that with even during a poor season the park can be up and running with just a small amount of snow. A bonus that all park-rats should keep in mind. 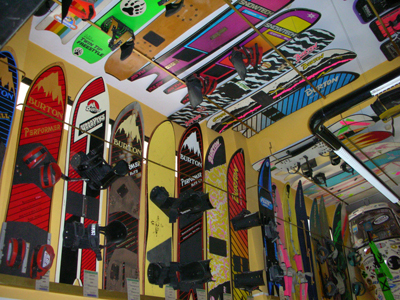 Prato is also home to the largest snowboard museum in the whole of Europe. 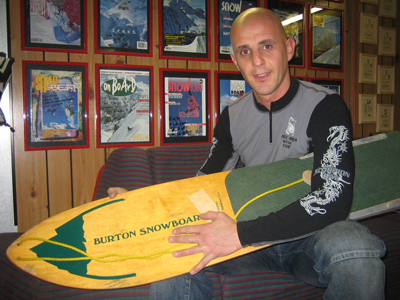 Definitely not what you would expect from such a place but the local 'surf' shop doubles as a museum and owner/collector Dino has over 90 boards on display from the days of the snurfer to the late 80s, a definite attraction for anyone who has ever been on snow. If skiing or snowboarding is not really your thing, there are a few activities to keep you entertained throughout the day. On offer at Prato are various shops (remember, most shops shut between 1pm and 3pm every day), a cinema, an ice-carting track for those seeking a bit more adrenalin, as well as a world-class interactive golf simulator. Practice your swing on the driving range when the weather turns evil with the local golf coach, an ex-Italian professional. Through state-of-art technology, every swing registers all the necessary information including swing speed, angles, distance and other various vital details to improve your handicap. If you don't need help, you can even choose to play a round at numerous courses from around the world that are built in to the computer's hard drive or take your mate on in a longest drive or closest to the pin competition. It's all here for you at the push of a button. On the weekend, free beer and wine along with apertivi is on offer for those who come to play on the cyber green. However, skiing and other activities aside, Italians are known for their coffee and cuisine. Simply said, Italians just love to eat. There are more bars, pizzerias and restaurants than anything else. Please note that an Italian bar is not your typical bar serving only alcohol. An Italian "bar" serves everything from quick snacks to meals as well as all beverages, alcoholic and non-alcoholic. With a huge variety of local dishes (almost every bar/restaurant is locally owned and run) and the aroma of grinding coffee beans only metres from the slopes there is plenty to do to please your tastebuds. From about 4pm onwards, all the bars offer Apertivi - an Italian tradition. Simply purchase one drink and free food is on hand for you. And not your typical bar food of chips and nuts. Here, the Italians don't hold back. It's all part of the service. Often there are plenty of cheeses, olives, foccacias, dips as well as many other meat and vegetarian dishes to choose from. Depending on the bar and whether you're a repeat or special guests (i.e. those who drink more), you may be given a taste of the speciality local cuisine. A wonderful way to end the day skiing or to begin a big night out. I warn you though, do not expect too much from Prato Nevoso. It is a small ski town with little to do except ski. What is normally expected in most ski towns is not available at Prato. The skiing is good and the Italian hospitality is even better but that's about it. Prato is a little lacking in infrastructure to accommodate guests on wild winter days or during a terrible season. There is little to do apart from skiing and riding. With no public gym, climbing walls, public swimming pools, nor indoor exercise facilities, make sure you pack a deck of cards and a good book just in case things turn nasty. And in Prato, the weather can turn nasty. If you are lucky enough to catch Prato when it snows you will be surely in for a treat as the snow gods don't hold back. When it snows, it really does snow. When locals talk of snow they talk about the three day cycle. Basically it means that it snows non-stop for 3 days straight. 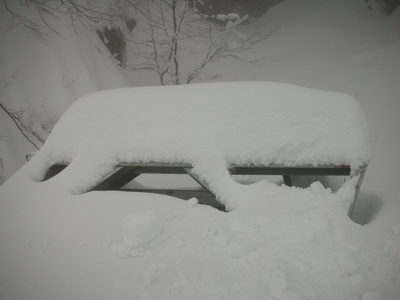 Even after one of the worst seasons ever (2006/2007), Prato lived up to its reputation and received well over a metre in three days, and that was at the end of March. Not a bad way to begin your spring skiing! Authenticity is in abundance in Prato Nevoso. Unlike most ski destinations, the resort is not operated by seasonal locals that flock in from around Italy, or the world, for a winter working-holiday experience. In Prato, local Italians who have been skiing and riding these very runs for years are at your service. This creates a truly Italian experience that cannot be found at most tourist destinations. Keeping that in mind, if you are seeking a pleasant ski trip with excellent food, friendly locals, cheap prices and a true Italian experience then Prato Nevoso is well worth a trip. 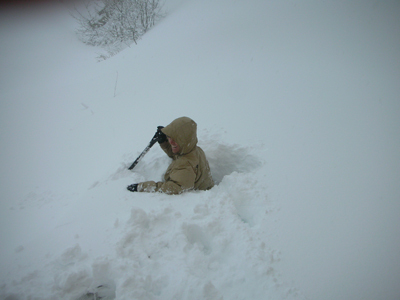 Dave Scoppa is a SnowSphere Magazine columnist who spent a season in Prato Nevoso Italy. He is currently living back in his native land of Australia, shredding the gum tree slopes of the Ozzy Alps.